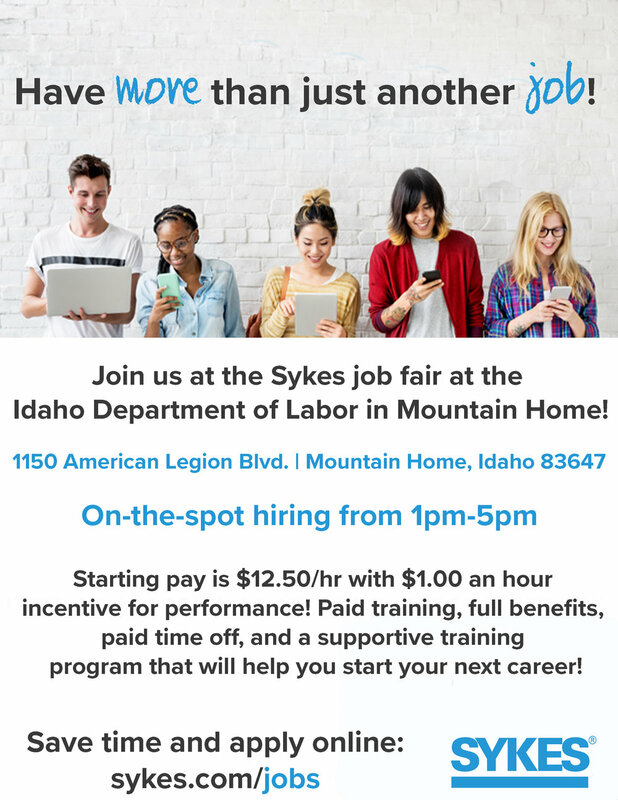 SKYES will be having a job fair at the Idaho Department of Labor, 1150 American Legion Blvd, Mountain Home, ID 83647, Wednesday 4/4/18 from 1pm-5pm. On The spot Hiring. Starting pay is $12.50/hr with $1.00 an hour incentive for performance! Paid training, full benefits, paid time off and a supportive training program that will help you start your next career! Save time and apply online! !